I wanted this necklace to be a bit heavier than usual but not too heavy. So, for the heaviness of it I thought of a spiral macramé pattern but found it too be a bit too much at first. 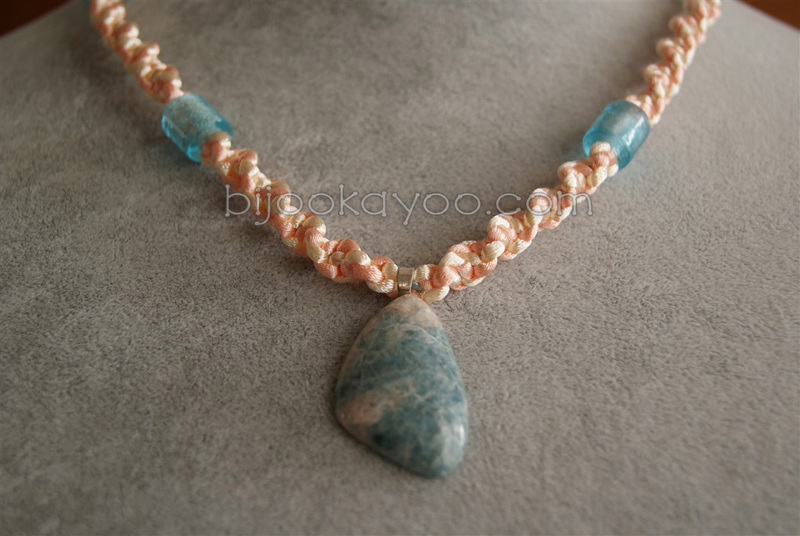 As I wanted to keep the pattern (I found it to go very well with the pendant), I tried to play with the cords colors. I ended up with those light colors of peach and ivory, but wanted to have some reminders of the main blue color of the natural stone. I finally found the perfect touch of blue with those glass tube beads that went also really well with the spiral macramé pattern. 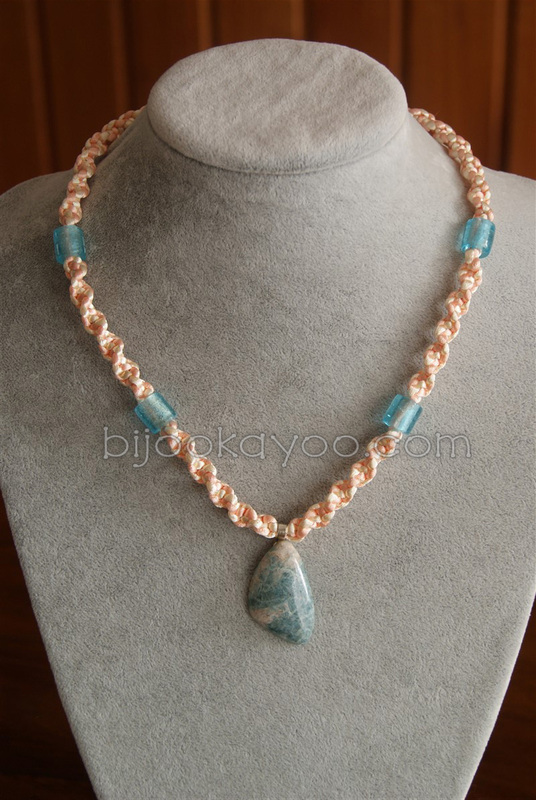 This necklace is made of light blue, light peach and ivory 2mm satin cords, and light blue glass beads as well as a blue/white natural stone pendant I bought from the local Port Moody Rock and Gem Club. 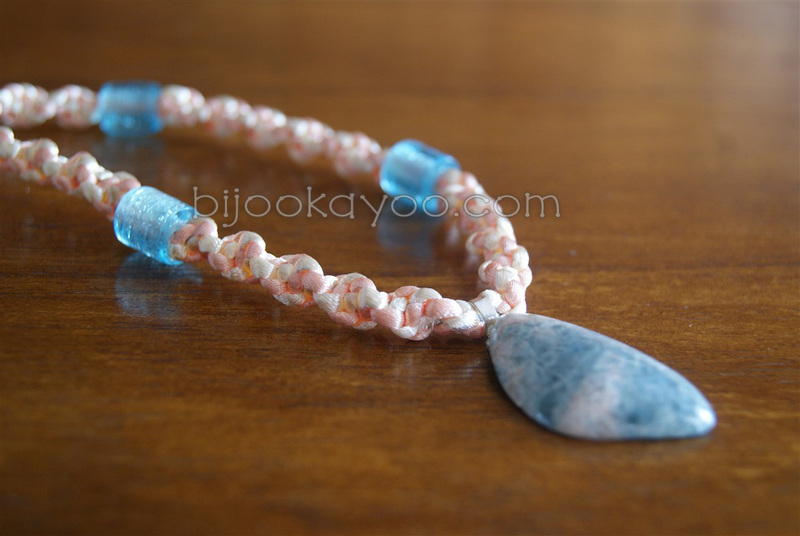 It’s chain is made of spiral macramé patterns separated by glass tube beads, and Button knots. 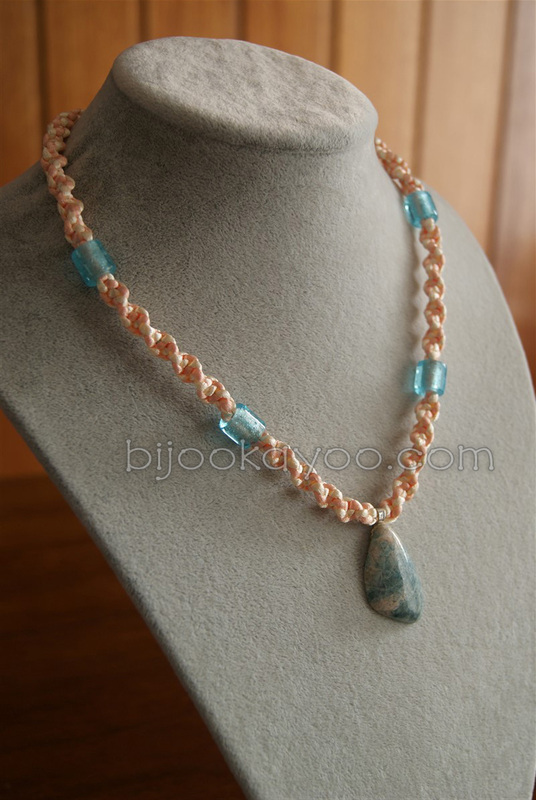 The spiral macramé pattern gives the chain a heavy feeling that contrasts with the light colors of the cords. This heavy/light contrast is well balanced and gives to this necklace a lot of character. The large tube beads feet perfectly with the spiral macramé patterns and allow just a touch of blue to remind the pendant’s main color. 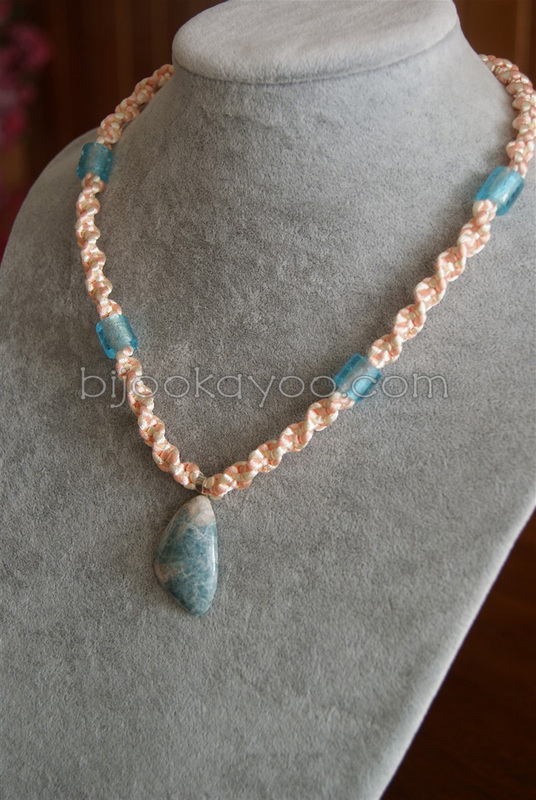 Posted in NecklacesTagged bead, blue, cord, glass, ivory, knot, light, macrame, metal, natural, necklace, peach, pendant, plated, satin, silver, spiral, stone, toggle, tubeBookmark the permalink.